Save more. No coupons required. With your Marriott Rewards® Premier Business credit card, it’s easy to get automatic business savings. 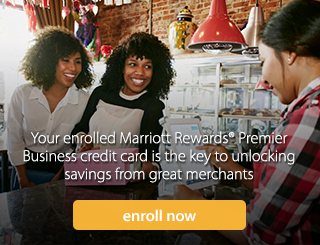 Enroll your Marriott Rewards® Premier Business credit card for free! 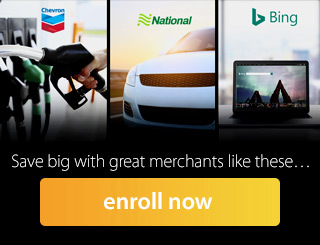 Shop using your enrolled card at participating merchants. Save money automatically; your savings appear as credits on future account statements. 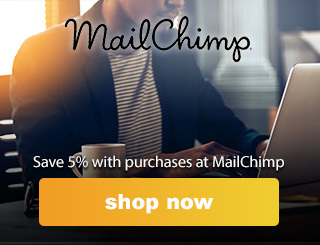 Automatic savings are just a click away. Use your enrolled Marriott Rewards® Premier Business credit card to save on qualifying purchases with popular merchants like these. * Savings provided as credits on future account statements. 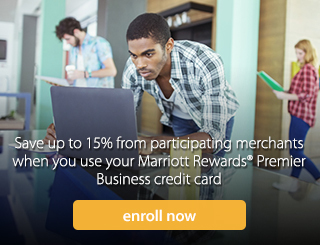 Use your enrolled Marriott Rewards® Premier Business credit card to save* on qualifying purchases you already make.